If you’ve been searching for a wonderful true book to read aloud to your children and teenagers during your daily story hour, search no longer: This is your book. I was a teenager when I first read the book—and it has warmed my heart ever since. It is one of those rare books written in First Person that really works. Just as is true with The Little House on the Prairie books, once you’ve read the first book in the series, you’ll rush out to buy the sequel, and then the rest of the series. The real-life story of the author is almost as fascinating as the book. Ralph Owen Moody (1898-1982) was born in East Rochester, New Hampshire. When he was eight, his parents moved the family to Colorado so that Ralph’s father might, in the dry climate of the Front Range, be healed from tuberculosis. In those days, thousands of tuberculosis-sufferers moved to Colorado and sister states in hopes they’d be healed by the move. Many were, but many were not. One of Ralph’s uncles told his brother that ranch life in Colorado was so heaven-like that he’d hardly have to work at all to get rich. You’ll note by a book illustration that the reality was far different. Three years later, Ralph’s father died, and the eleven-year-old boy was forced to become man of the house, the mainstay of his mother and siblings. But, even though the boy had yearned to be a writer almost as soon as he learned to read, the tough business of making a living and, marrying his sweetheart Edna, precluded that. In fact, he was fifty years old when, in helping a daughter with a high school writing class, he honed his own craft. Upon reading his first story, his teacher suggested he expand it into a full-length book. Because Moody had grown up listening to his mother read out loud to him and his siblings, when he had the opportunity to tell his life story, he avoided formal writing and instead just told the story in common everyday language that children would both understand and appreciate. Little Britches (what he was dubbed after his boyhood arrival in Colorado) was published in 1950. In that serene Norman Rockwell Era of strong family values, Little Britches took the country by storm. After his father’s farm had failed, he moved his family to Littleton, and shortly afterwards his father died of pneumonia. In Man of the Family (1951) and The Home Ranch (1956), Moody tells the story of those action-filled Colorado years. Mrs. Moody subsequently took her three sons and three daughters back to Medford, Massachusetts where Ralph completed his formal education through the eighth grade. This part of his story was published in Mary Emma and Company in 1961. Later on, Ralph joined his grandfather on his farm in Maine. 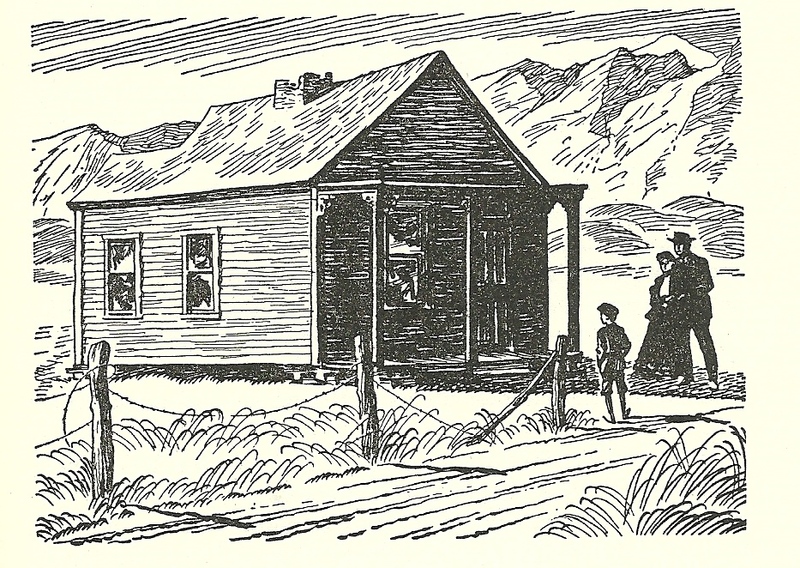 This period was covered in The Fields of Home in 1953. In Shaking the Nickel Bush (1962), poor health results in Ralph moving west again in the midst of the Great Depression. Tough times are covered in The Dry Divide (1963) and the concluding eighth book of his life story, Horse of a Different Color (1968). When he was 83, he returned home to New England; he died there on June 28, 1982. 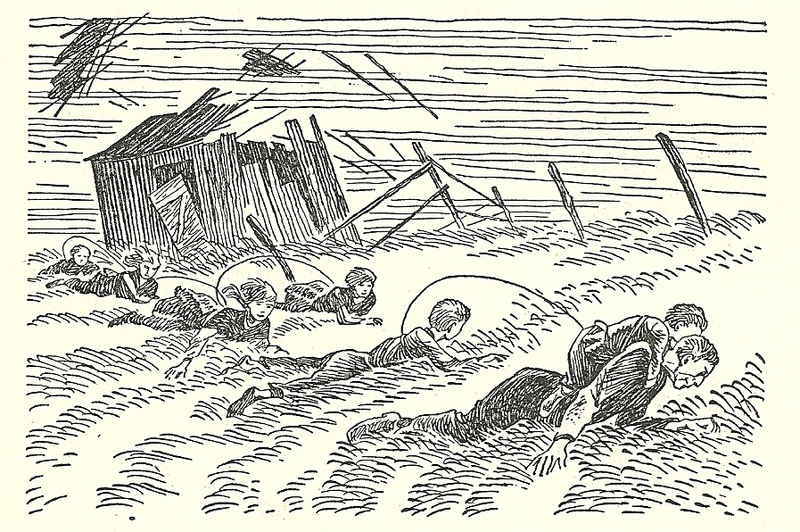 The family in midst of a tornado. But not before chronicling one of the most gripping, moving, and inspirational autobiographies ever written. By the time you finish reading it to your family, none of you will ever be the same you were when you began. Moody also published nine other books: Kit Carson and the Wild Frontier (1955), Geronimo, Wolf of the War Path (1958), Riders of the Pony Express (1958), Wells Fargo (1961), Silver and Lead: The Birth and Death of a Mining Town (1961), America Horses (1962), Come on Sea Biscuit (1963), The Old Trails West (1963), Stage Coach West (1967) and one play: The Valley of the Moon (1966). There are many editions of Little Britches and its sequels. Most were published by W. W. Norton. They were also published by Reader’s Digest; People’s Book Club; Harcourt, Brace & World; and in paperback by Bantam. Walt Disney Productions (released by Buena Vista Distribution) filmed Little Britches as The Wild Country in 1970. It starred Steve Forrest. Jack Elam, and Ronny Howard; co-starred Frank deKova, Morgan Woodward, and Vera Miles. The screen play was written by Calvin Clements, Jr., and Paul Savage; produced by Ron Miller, and directed by Robert Totten. 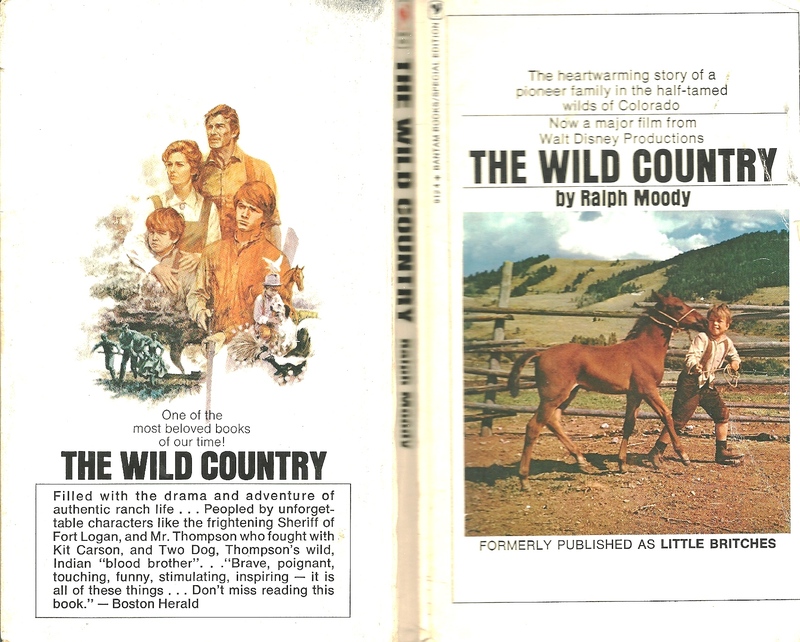 In 1971, Bantam published Little Britches as The Wild Country. Happy reading to you and your family!